The Cedars is a resort for all seasons. Winter begins from early November to mid to late April considering the high altitutde which makes it a perfect place for skiers and when summer arrives it is a great escape from the humidity of the coast. 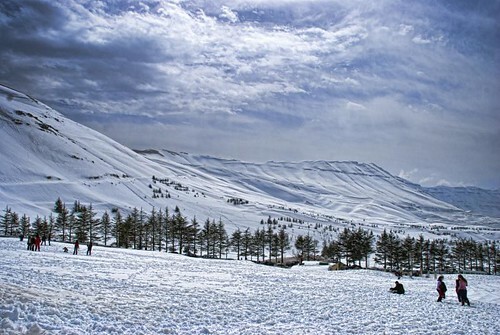 The best way to get to The Cedars is from Deir Al-Ahmar in the Beqaa valley. The road takes you to the slopes of Mount Lebanon presenting tremendous views at every turn. As you get higher, the air grows crisp and snow patches appear. At the top you look down the other side into a huge hole where the ski resort, the cedar groves and the Qadisha gorge lie before you in a panoramic view. Within this area are rivers, springs, waterfalls, caves and other natural formations as well as old churches, monasteries and interesting villages to visit. So why not come to Lebanon this year and enjoy the marvelous wonder of our Cedar village.